Looking to trim excess fat off of your waist? Evlution Nutrition might just have the right product for you. 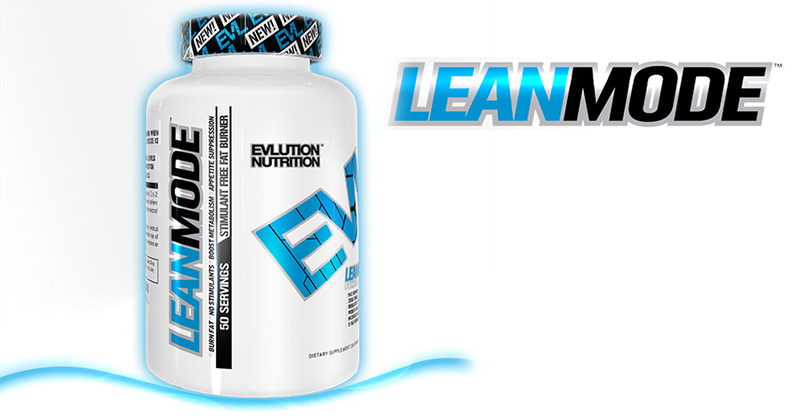 Evlution Nutrition Lean Mode is its premier stimulant-free fat burner that supposedly helps in decreasing the amount of fat buildup. According to the product’s website, Lean mode helps to burn fat, manage your appetite, and enhance your metabolism. In addition, Lean Mode also helps in providing energy during workouts, as well as a positive mood similar to nootropics. Lean Mode is regarded as a good alternative to typical fat burners that are jacked with stimulants, making it a good choice for people who are sensitive to caffeine and other similar stimulants. Unlike most fat burners that you can actually feel the effects as you use it, the benefits of Lean Mode isn’t as obvious, making it hard to tell if the product is really working or not. In this review, we’ll take a closer look at Lean Mode to determine if it is really as effective as they say it is. The main component of Lean Mode is Garcinia Cambogia, the world’s most popular appetite suppressant and fat burning supplement today. The Garcinia Cambogia content in Lean Mode is composed of 60% Hydroxycitric Acid, which helps in inhibiting citric lyase, the enzyme responsible for turning excess calories into fat. Based on our experience with Garcinia Cambogia supplements, HCA works only at the right doses. Lean Mode only contains 500 mg of Garcinia Cambogia, which makes it unlikely to be as effective as the best fat burners like Garcinia X. Lean Mode also contains 500mg of Conjugated Linoleic Acid (CLA), a fatty acid that burns fat. CLA is found in food items that are commonly rich in saturated fat, which rules out acquiring CLA you’re your regular diet, thus making CLA supplementation the only rational choice to get CLA. However, research shows that 7 grams per day is recommended for the body to achieve fat-burning properties – far from the 500mg that Lean Mode contains. Lastly, Lean Mode also contains 500mg of L-Carnitine, 500mg of Green Coffee Bean, and 250mg of Green tea extract. Research shows that the effective dose of L-Carnitine is at 1000mg per day – almost double the content of L-Carinitine in Lean Mode. It appears that only Green Coffee Bean and Green Tea extract are the only ingredients within acceptable range, and these two aren’t as effective as the other ingredients mentioned. It’s tough to determine if Lean Mode is really effective. It may take days or weeks to tell if the product can really affect your weight loss goals. As far as the ingredients are concerned, it contains top-notch ingredients, but not enough concentration in one dose. Keep in mind that you need to take THREE PILLS to get one dose. If you’re serious about losing fat, better switch your attention to the best fat burners like Garcinia X instead. Garcinia X is regarded as the best garcinia cambogia supplement today. Check it out.